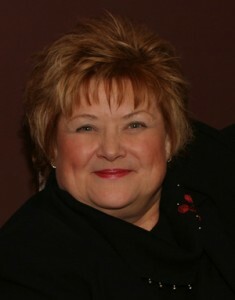 About us | Roz Heyns | Alabaster Ministries Inc.
ROZ HEYNS was born in the U.K. but moved to Zimbabwe at six weeks. Her mother was in the Royal Air Force during World War II and her father was a Life Guard (personal body guard) to King George VI. They both moved to Rhodesia (now Zimbabwe) after the war because of the economic situation in England. Roz has had a call on her life since she was a teenager and first heard Richard Wurmbrand (Voice of the Martyrs) minister in Harare in the mid 1960’s. She has worked in a number of roles in the church – as an administrator for Christ for All Nations (Reinhard Bonnke) in Zimbabwe and Jimmy Swaggert Ministries in Zimbabwe. God has used her from teaching at a Bible School in the war torn Southern Sudan to teaching in a Bible School in the U.K. and from Ladies Conference in the U.S.A. to Apostolic Conferences in Finland. She has a burden for the lost and dying, especially the elderly and orphans and a burden for all those who are intimidated by situations and circumstances in their lives which hinder them from being what God wants them to be. She has a heart for encouraging and exhorting believers to reach their goal in Christ. Roz has two wonderful married children, Rozella and Justin and George and Megan who all stand alongside and cheer her on even if they do not always agree and three beautiful grandchildren, James, George and Lella. THE VISION: There is a great need in the Third World for ministry to women, young people and the elderly. There is wonderful opportunity for this in the Nsanje District of Southern Malawi. ELDERLY: In Malawi there is less and less respect for the elderly. In Third World countries they are ignored and often cast out of their villages. They need assistance in living conditions, food and clothing and medical assistance but most of all they need to know that there is a loving God who has not forgotten them. God is not done with the elderly even if their families are. There is a great need for teaching Biblical principles and intercession which can be passed on to the younger generation by the elderly. YOUNG PEOPLE: Need to see the real Jesus in you and me. They need to have mentors who will not fail them. If they see Jesus work in the life of their mentor then they will more easily accept that He will work in theirs. They need discipleship and they need to have the right “idol” instead of some sports figure or some actor. They need to see the “wonder working power” of an almighty God. Good mentors need to be raised up to teach and train the youth. The youth need to learn how to respect their elders and for some the stable door was opened some time back and the horse bolted. Only God can change the lives of these young people who are headed for a life of Drinking, drugs and prostitution. We have trained the elderly to pray for them and we are beginning to see real change. Some of these kids will leave the classroom when they know we are in the area so they can attend the meetings. We have a young man who is able to minister to them while others are ministering to the elderly. THE NSANJE PROJECT: Is a vision to build or rebuild two roomed homes for the elderly. They exist in homes that are falling down around them where they cannot sleep at night because of the mosquitoes or the rain falling on them as there are so many holes in their thatch. Where they can actually lock their front door and know that the very few things they own will be safe from theft. For the young abused, molested girls we would like to build a center which will become their refuge. We plan to have a meeting place that can be used as a dining hall, church and a place to learn how to sew, knit or do some other craft. We already have the land on which to build and this land is across the road from a school. We would like to put up dormitories and have a cottage at each end for those elderly who are happy to move and become house mothers. Hanging out with young people keeps older people young and orphans would learn to respect their elders. There is room for market gardening to help feed themselves and to sell at the market and enough room to start a fruit orchard. WELLS: Everyone has a right to have drinking water near at hand. In so many of the districts of Nsanje there are people who walk a couple of miles to the nearest well or river to collect water. At age 90 they should not have to do this. We need to have drinking water that is close at hand available to all. The present cost to install a well is approximately $4,000.